Home » Typical pictures of Indian Natives. Gallery: Typical pictures of Indian Natives. BOMBAY: THE “TIMES OF INDIA” OFFICE, AND THACKER & CO., LIMITED. 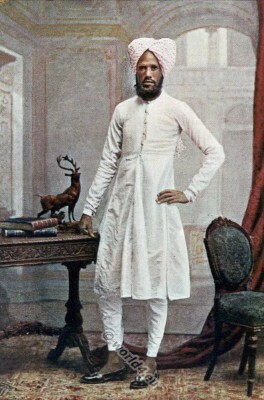 LONDON: THE” TIMES OF INDIA” OFFICE, 121 FLEET STREET, E.C. 1899. 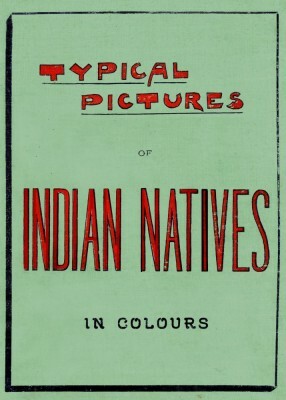 The manner in which this little volume has been received by both the press and the public has rendered necessary a Second Edition within five weeks of the date of publication. 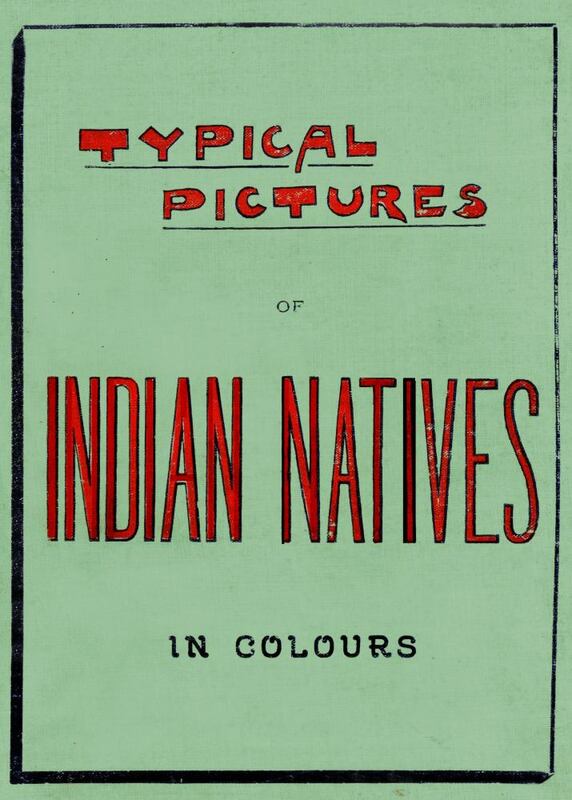 The author does not complain. 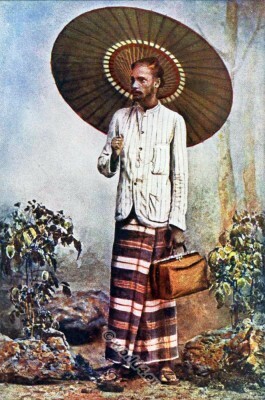 He merely takes the opportunity of stating that such treatment was as agreeable as it was unexpected. The “Gorgeous East,” if robbed of the vivid colouring which is its greatest charm, would cease to please the only one of the senses to which it ever appeals. 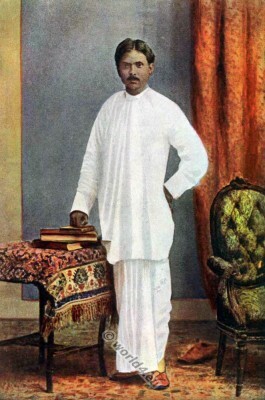 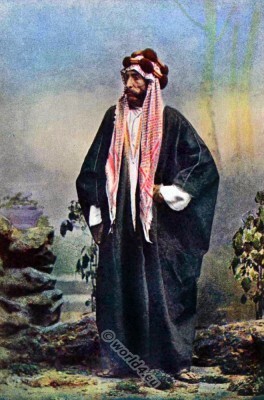 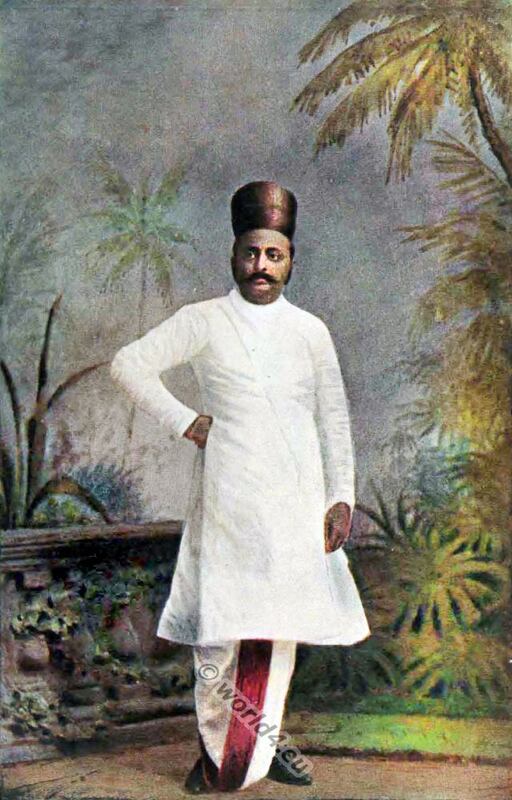 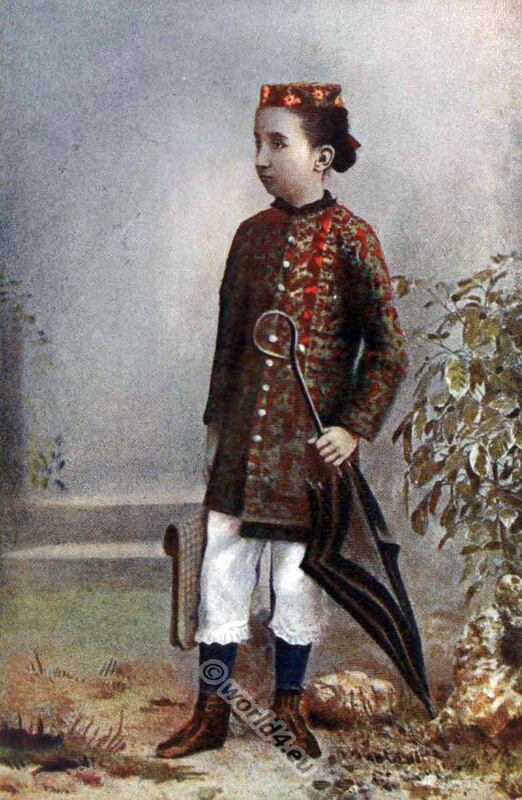 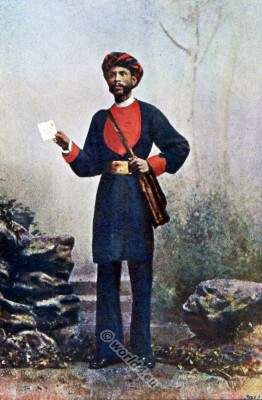 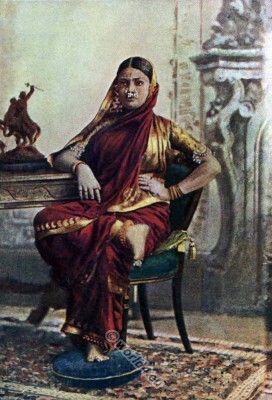 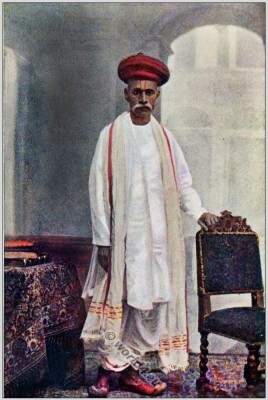 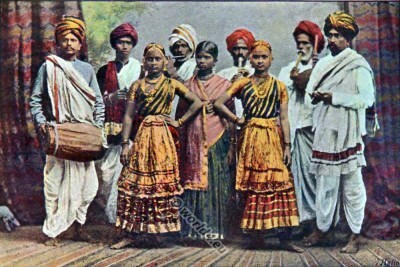 By the same token, plain photographs fail to convey an adequate idea of the real picture to those whom fortune-or misfortune-has never sent Eastward j and it is with a view, therefore, to enable travellers to present to their friends at home a true rendering of the varied and picturesque costumes worn by Natives of India in general, and of Bombay in particular, that this little book is presented to the public. 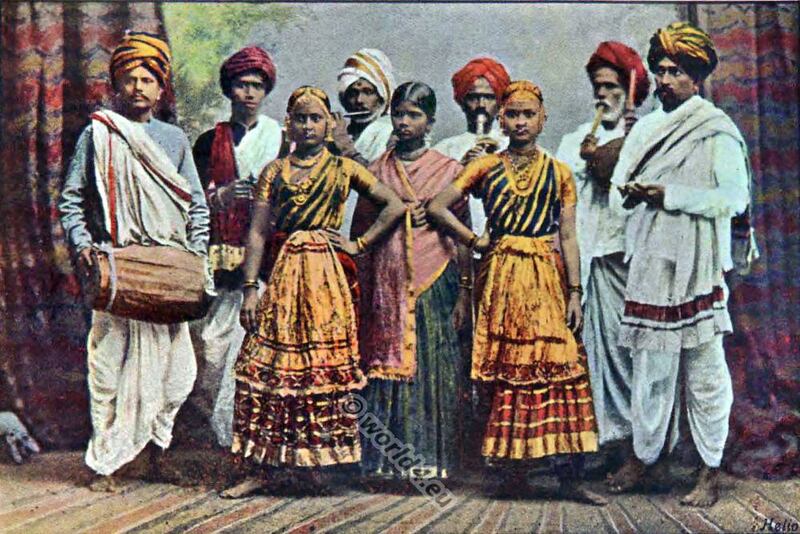 THE word “caste” is now familiar to most English-speaking people, and it is perhaps almost superfluous to mention that it is applied to designate the religious and social distinctions among the Hindoos. 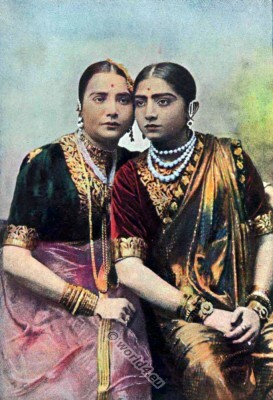 It is, properly speaking, not an Indian word, having been adapted from the Portuguese casta, signifying race, kind or quality. 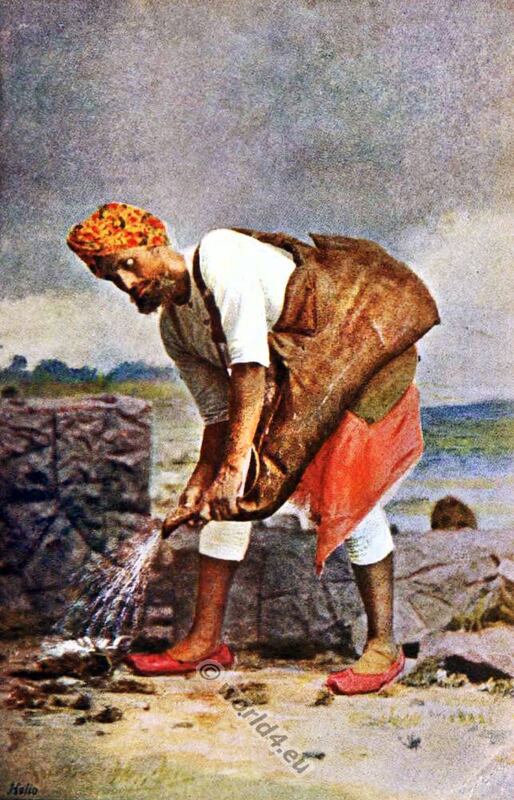 Originally there existed but four castes: the Bràhmans, or priests; the Kshatriyas, or warriors; the Vaishyas, or mercantile and agricultural class; and the Shùdras, or servants. 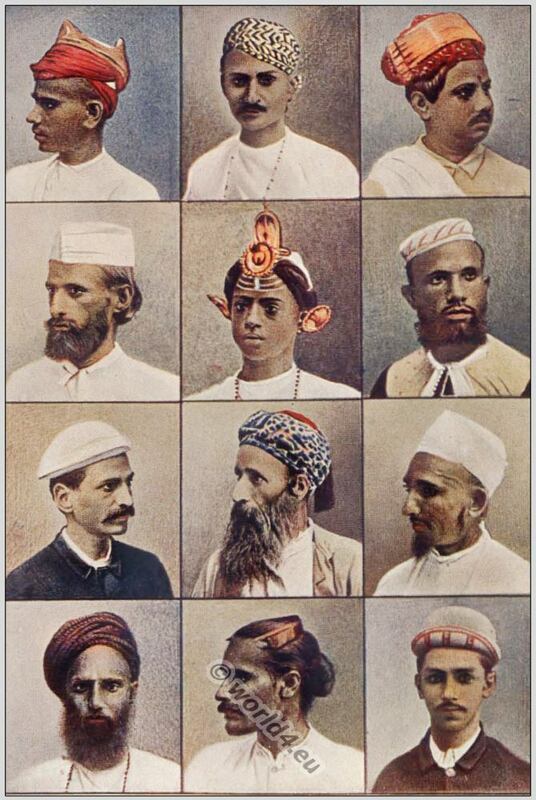 But the divisions and sub- divisions which have arisen from time to time have now become so numerous that, in Wilson’s book upon this subject, we find a list of one hundred and thirtyfour distinct castes, besides many hundreds of others, which are not recognized. 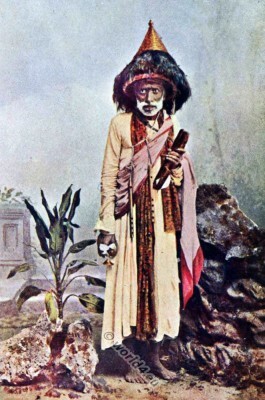 * He says: “A caste is any of the classes or divisions of Hindoo society. 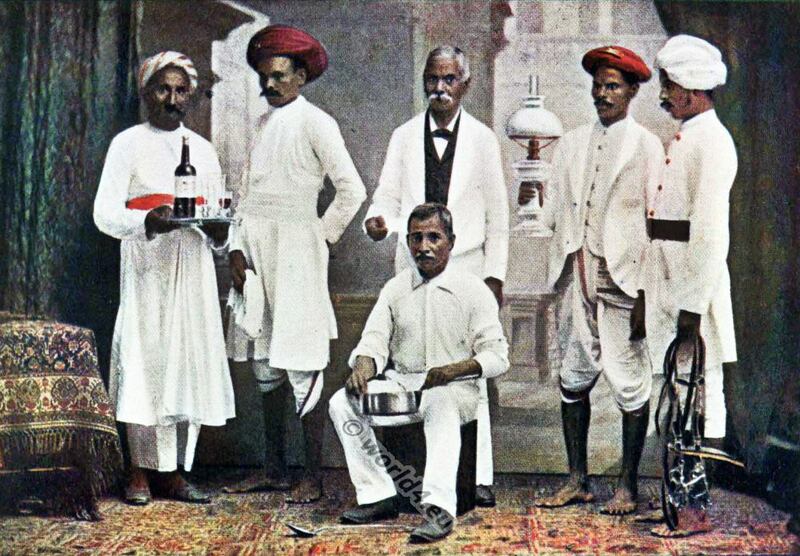 The authority of caste rests partly on legendary fables, partly on verbal tradition, partly on the injunctions of priests, and partly on the caprice and convenience of its votaries. 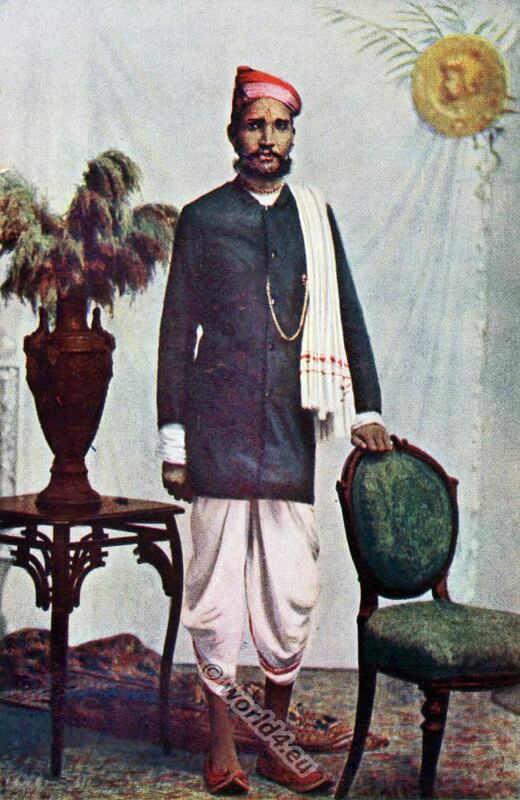 … The rules, and customs, and prejudices, and breaches and compromises of caste are numerous, and capricious and complicated beyond conception. 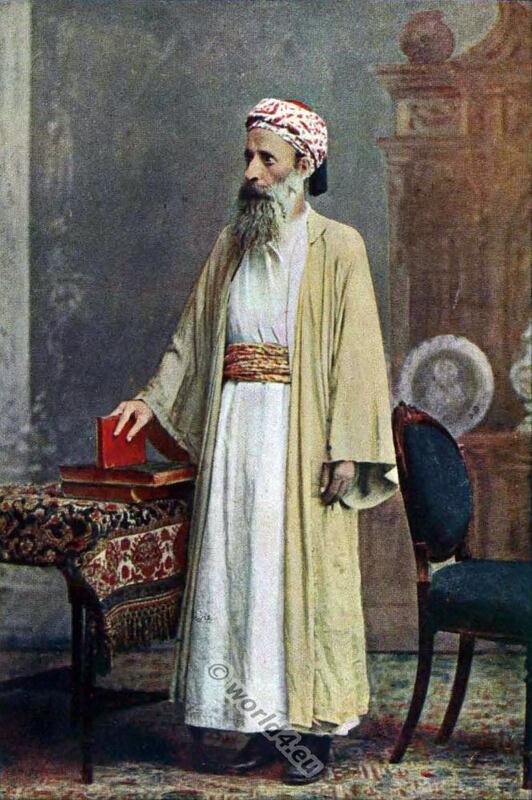 ” It was formerly customary for Bràhman priests to wear, as a distinguishing mark, three horizontal lines upon their forehead; for those of the same caste engaged in business, three perpendicular lines; and for other people, a red spot. Now, however, there is no certain outward indication by which a particular caste may be known, any man being at liberty to assume what mark he pleases. 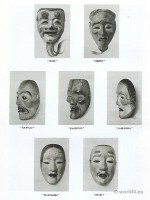 The FRONTISPIECE will show at a glance some of the many varieties of head-dress which are worn by the inhabitants of different parts of the country. 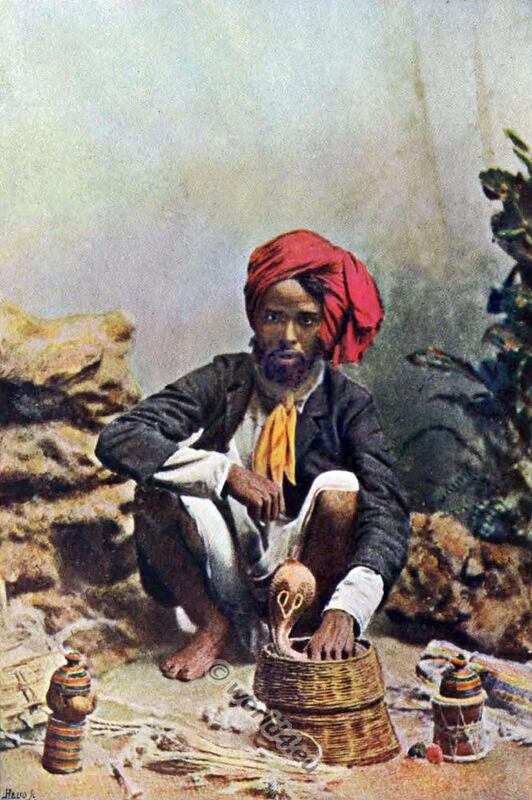 Commencing from the top left-hand corner, we have the Bhattia turban, worn by the people who hail from Cutch; the two pictures next adjoining represent respectively a merchant from Central India and a Lavana, the latter hailing from the district lying between Bhawnagar and Ahmedabad. 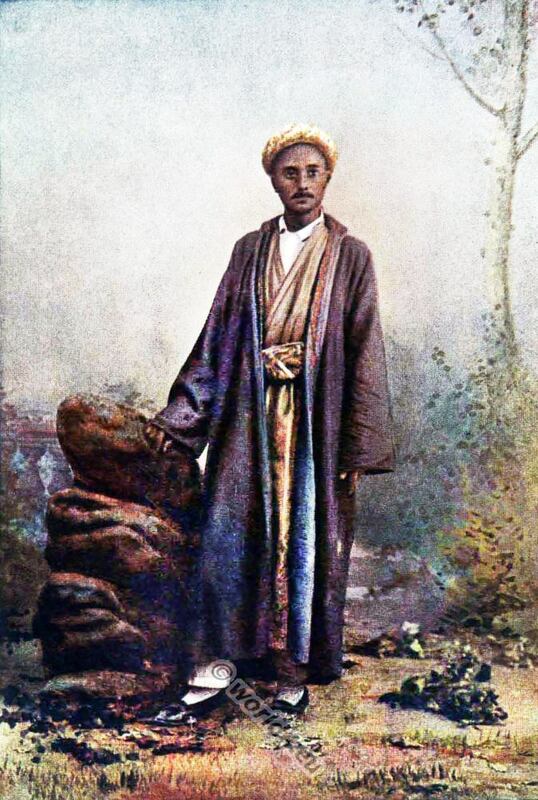 The next picture, on the left, is that of a Lucknow Mohamedan, that on the right a Mussalman also, from Ajmere, the centre portrait representing a young Nepaulese priest, known as a Gosavi. 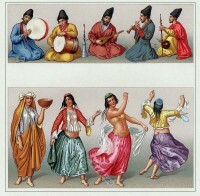 The Mooltàni, wearing a small round turban, adjoins a Jewish priest from Bagdad, and the head to the right of him is that of a Borah, or Mohamedan trader. 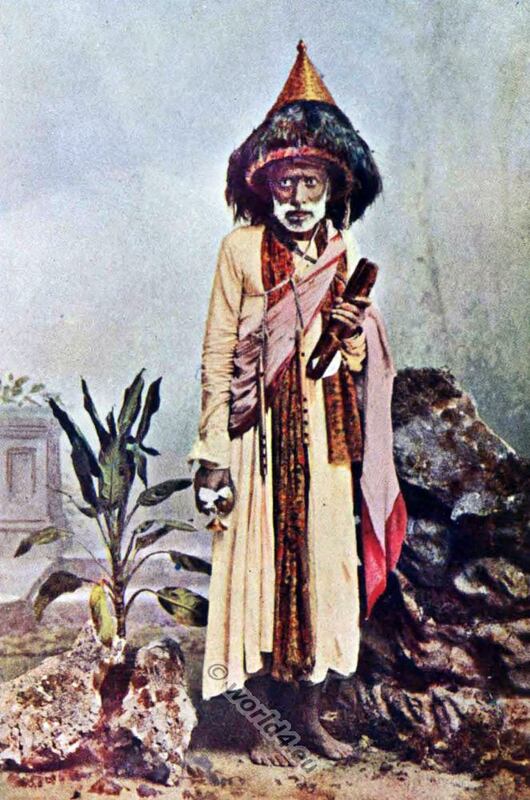 The last three portraits are those of-first, a Hindoo ascetic, who wears his hair exceedingly long. 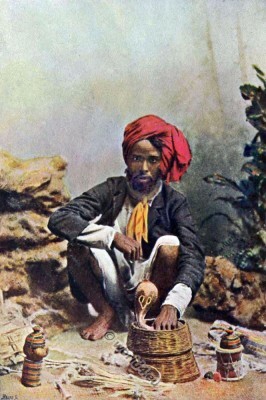 This he plaits and coils about his head after the manner of a turban. The peculiar appearance of his face is due to a very liberal application of ashes, with which he frequently covers his whole body. The second picture represents a Sinhalese man, the article upon his head being a comb. 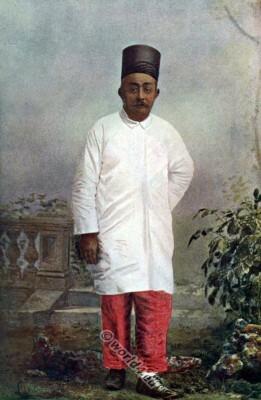 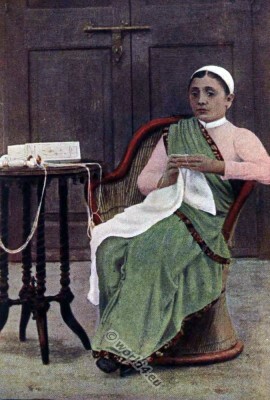 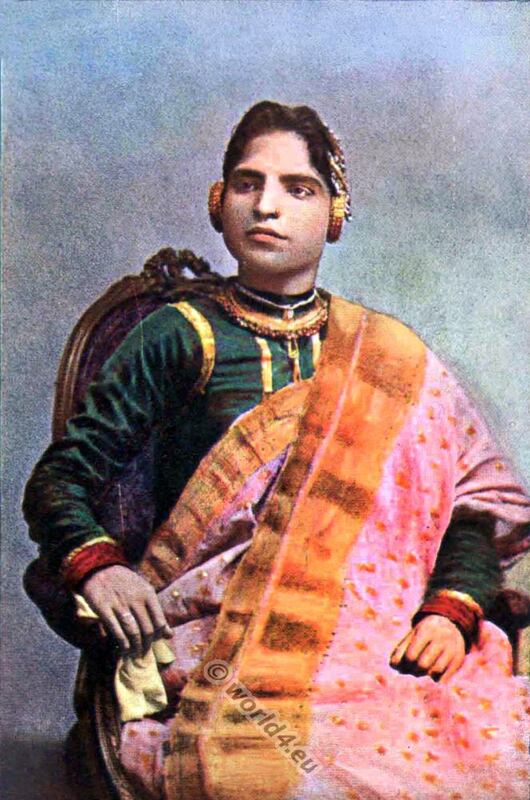 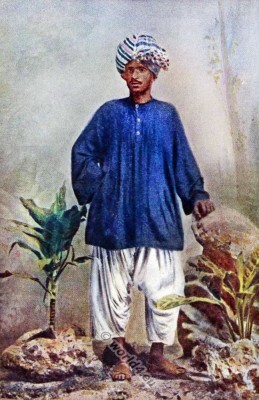 The third and last portrait in the group is that of a Parsee, the topi being of a shape adopted by some members of the Parsee community in preference to that more usually worn by them. 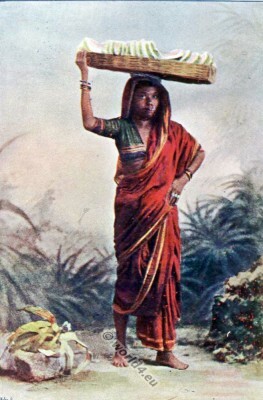 Old Woman from Japan carrying baby 1910s.